Not one to usually boycott sh*t but I'll def pass on First Man since they wanna play their liberal games and view the American flag like something bad. Fuq them. 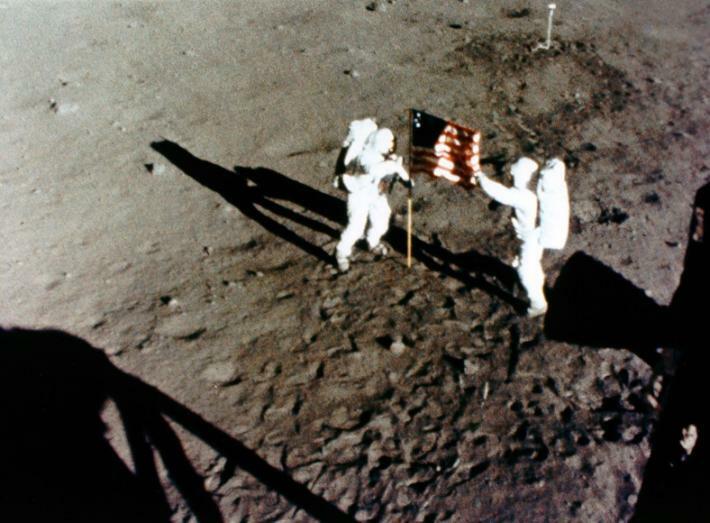 The moment Neil Armstrong planted the American flag on the moon is one of the most iconic moments in American history. But Hollywood wants to go all Colin Kaepernick and protest our nation's flag? They can go fuq themselves. Repeatedly. The film’s French-Canadian director, Damien Chazelle, opted to omit Armstrong planting the American flag on the moon, Business Insider reported. Canadian actor Ryan Gosling, who stars in the biopic, defended Chazelle’s decision to forgo the scene. “First Man” premiered Wednesday in Italy at the 75th annual Venice Film Festival, and critics noted the flag’s absence. Claire Foy of Netflix’s “The Crown” co-stars in the film as Armstrong’s wife. Corey Stoll of “House of Cards” plays astronaut Buzz Aldrin. Gosling argued that Armstrong’s accomplishment was viewed by the late astronaut as a “human achievement” rather than an American one, according to The Telegraph. Armstrong’s family, including his two sons, authorized the biography by James Hansen, which the film is based upon. The astronaut died in 2012 at the age of 82. “First Man” arrives in theaters Oct. 12. It's sad that they choose to do this in a movie about one of the bravest and cool headed astronauts ever to ascend into space. When Armstrong and the Apollo 11 crew blasted off towards the moon, NASA gave them only a 50% chance of survival. That took quite a bit of courage to proceed knowing the odds. Also, when the LEM was descending to the lunar surface, they had overshot their expected landing site and where heading towards a field of craters that would have been sure disaster. With only a very short amount of fuel available for the descent, Armstrong took over the controls from the computer and guided the LEM to a landing safer landing site. He touched down with only 19 secs of fuel left in the tank. According to Buzz Aldrin, Armstrong was as cool and steady as anyone could have been and had it been anyone else, they most likely would have perished on the moon. In Armstrong's later years, he was always very generous with his time and would not hesitate to sign and autographed picture for anyone that asked. People could literally send him a letter requesting a autographed picture and he would comply. However he learned that people were taking advantage of his generosity and began keeping a list of people to whom he had given autographed pictures too. If someone who had already requested a picture, did so again, he would not send them one. I have a friend who's father had received an autographed picture from him and also had met him a few times. He related that story to me. NASA gave them only a 50% chance of survival. Are you serious? Holy fuq. Sad thing is I really wanted to see this but I refuse since they wanna play liberal politics. Then again it may not be that hard to skip it since I hate Ryan Gosling. Can't believe they picked a douche like that to play one of America's greatest heroes. President Nixon had two speeches prepared for the mission; one that he read to the nation and the other in case they died in the attempt. I wish those global (anti-American) snowflakes would make their reservations for a one way trip to Mars. Too close. They need to at least go to Saturn. Chuck Yeager isn't happy with liberal Hollywood's decision to throw their anti-American politics into the mix. I hope this movie flops. Shame too because I was lookin' forward to seein' it but refuse to now that it's basically an anti-American/liberal agenda flick. The movie, staring Ryan Gosling, is based on American astronaut Neil Armstrong, who was the first person to ever step foot on the moon. However, the movie controversially omits a key detail in the first lunar landing: Armstrong planting an American flag on the moon’s surface. Gosling said at the movie’s premiere in Italy that directors wanted to frame the lunar landing as a “human achievement,” rather than an American one. Yeager replied to a tweet noting that he personally knew a much different Neil Armstrong than the person Gosling described. @GenChuckYeager Ryan Gosling is coming out with the movie First Man where it portrays Neil Armstrong as a liberal progressive anti Trump (in spirit) non-flag waiver. Probably agree with the National Anthem kneelers, too; at least in Hollywood's liberal imagination. Later, he stepped up criticism, taking a swipe at Hollywood. “First Man” hits theaters Oct. 12. Gosling – who came out in 2015 as a fan of Bernie Sanders while later spoofing Donald Trump – was recently quoted in the Telegraph newspaper in London explaining why the American flag was deliberately left out of a movie chronicling the greatest scientific achievement in American history. That is Gosling’s viewpoint. One could also wonder if he, the Canadian director and others in Hollywood wanted the film to incorporate revisionist history to push an ideological viewpoint of today. Armstrong and I spoke for about an hour and he could not have been nicer or kinder. He sensed I was nervous and put me at ease immediately by turning the tables and asking me questions about my background and my life. Even though I had heard he did not like to give autographs, when I mentioned my then-9-year-old niece Chrissy and 10-year-old nephew Christopher, he signed something to both on White House stationary. Gosling is correct about one thing for sure. Armstrong was beyond humble. Weeks after our interview, he called me to ask that I not use it. He told me how very sorry he was to ask, but that upon further reflection, he was not comfortable talking about himself and did not want anyone to get the impression that the mission was about him. I agreed immediately with his request. While greatly disappointed – we ended up scrambling and using existing public quotes for the book – I was deeply impressed at how truly humble Armstrong was and how important it was to him that others receive the credit he believed they deserved. While Armstrong never viewed himself as a “hero,” he was incredibly proud to be an American. An American, who before becoming a test pilot and the first human on the moon, was a highly decorated naval aviator who flew 78 combat missions during the Korean War. As someone who has more relatives in Canada than the U.S. – my family making its way from Nova Scotia to Boston decades ago – I would say his bias has nothing to do with Canada and everything to do with being liberal. 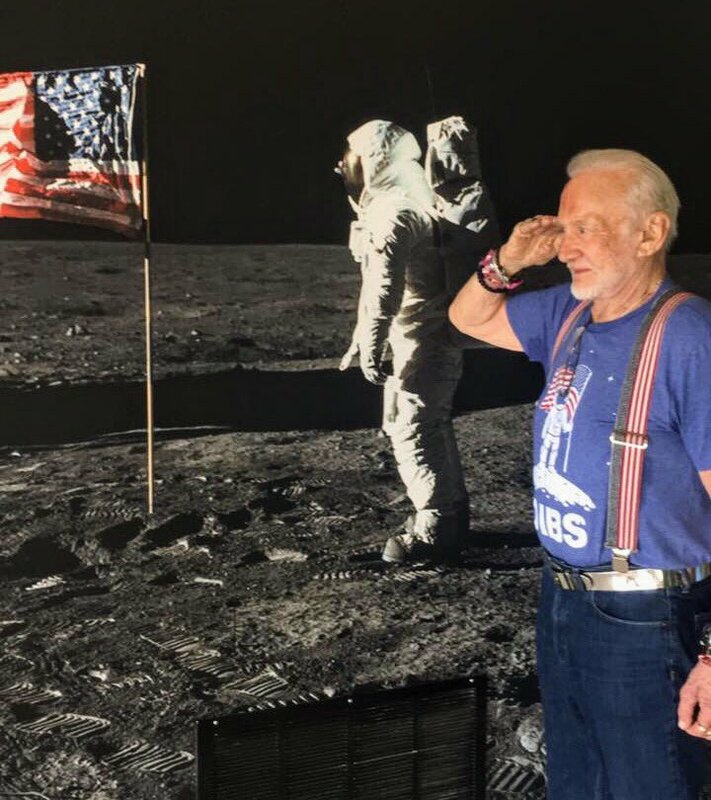 When I spoke with Armstrong back in 1988, he – along with all 11 other men who walked on the moon that I spoke with – very clearly saw the moon landing as an American achievement and was in fact, quite proud to plant the American flag in recognition of the American blood, sweat, and tears which helped get him and Buzz Aldrin to the surface. 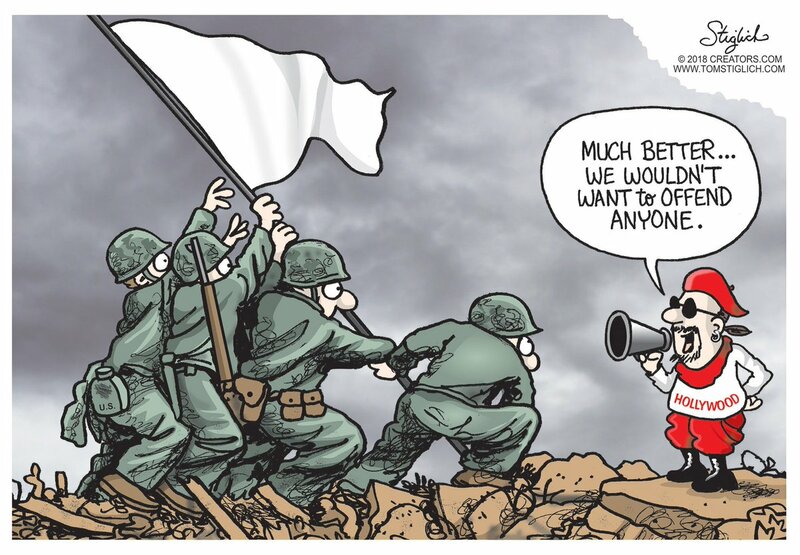 Revisionist history in the support of partisan ideology is always dangerous…on any side. Over the last five decades, liberals have obtained more and more control over Hollywood. Precisely because of that power, the temptation to use film to change history can be overpowering. While Ryan Gosling has the right to put his spin on any subject of his choosing, he is wrong in this case. Armstrong was a proud American who served his nation with great distinction who saw the moon landing as an American achievement worthy of an American flag being left on the surface forever in recognition of the tremendous sacrifice it took to get our nation there. Buzz speaks out and gives his opinion. It's funny how predictable libs are. I'm not psychic but I knew exactly what position libs would take on this topic. I knew for a fact they'd side with Hollywood and against patriotism/American flag. Then again I pretty much know libs' position on every issue before they even speak. It's not hard. Anyways, let's see what Buzz has to say. Legendary Apollo 11 astronaut Edwin "Buzz" Aldrin took a swipe at the upcoming movie "First Man" late Sunday for its director's decision not to show the planting of the American flag on the moon during the historic 1969 mission. Armstrong, who died at age 82 in 2012, is the subject of "First Man," which stars Ryan Gosling and is scheduled to hit theaters next month. Many mocked and criticized Gosling’s decision, with U.S. Sen. Marco Rubio decrying it as “total lunacy” and ignoring historical reality. "This is total lunacy. And a disservice at a time when our people need reminders of what we can achieve when we work together. The American people paid for that mission,on rockets built by Americans,with American technology & carrying American astronauts. It wasn’t a UN mission." Chazelle himself also released a statement, insisting the omitting of the planting of the U.S. flag had nothing to do with politics. “To address the question of whether this was a political statement, the answer is no. My goal with this movie was to share with audiences the unseen, unknown aspects of America's mission to the moon — particularly Neil Armstrong's personal saga and what he may have been thinking and feeling during those famous few hours,” the director added.